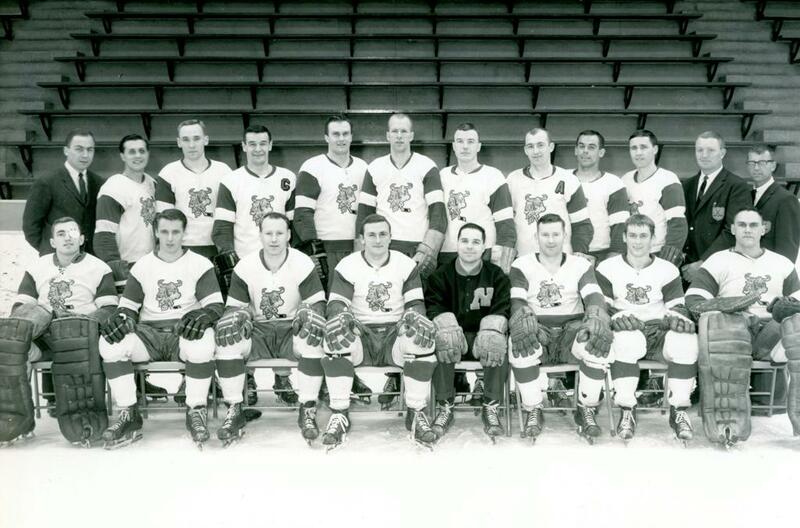 In the early 1960's, a group of local business leaders, including Bob Ridder, put their heads and their pocket books together and came up with a vision for the future of youth hockey for the southeast metro area. 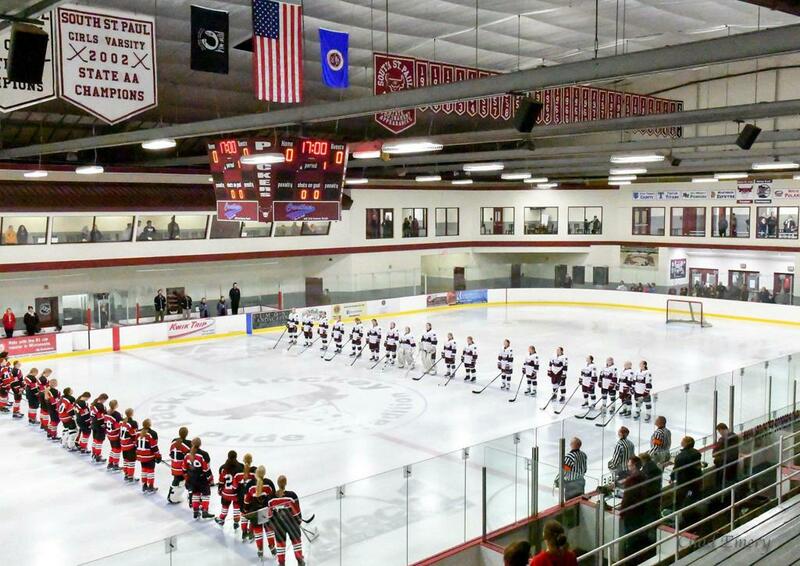 They chose South St. Paul, a hot bed of hockey loyalty, tradition and pride, to be the site of one of the first indoor ice arena’s in Minnesota, with four walls and a roof, that vision became the breeding grounds for some of the state’s best hockey and was called Wakota Arena. 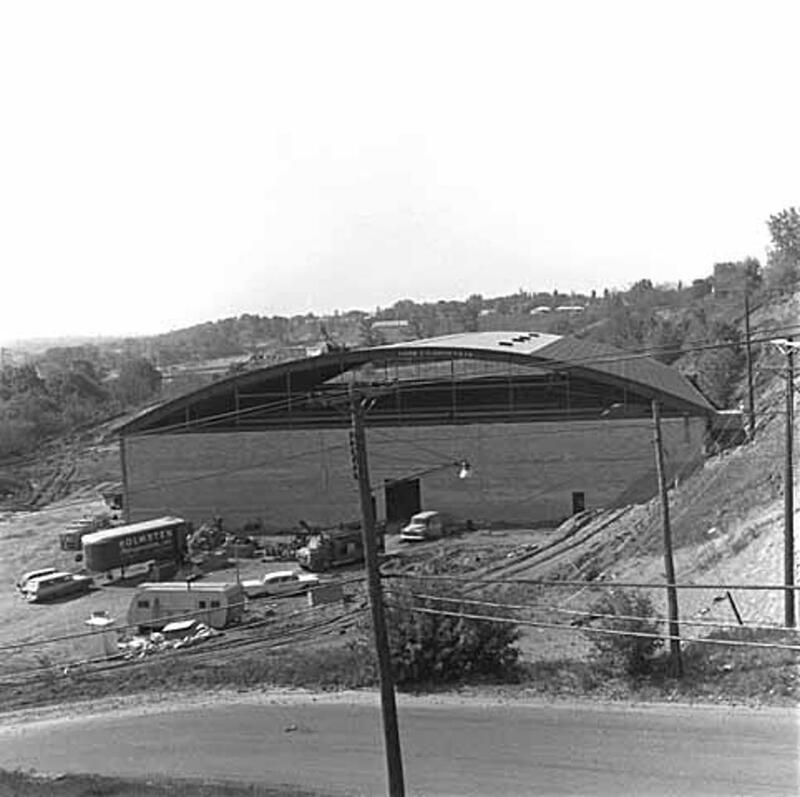 Wakota Arena was originally built as one ice sheet in October 1962 and was privately owned by Wakota Arena Incorporated, which consisted of 650 shareholders and was affectionately named "The Cow Palace". It was built on ten acres of land for the cost of $550,000.00. 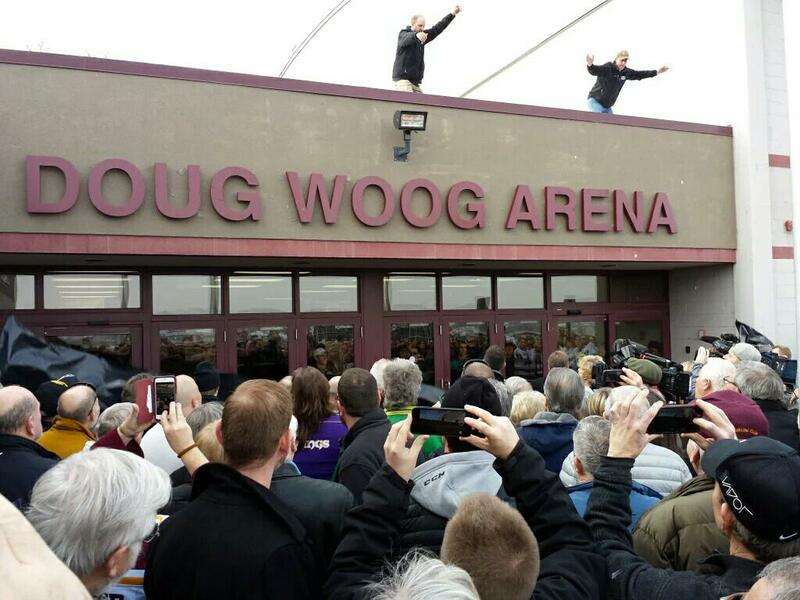 A year later, the name was changed to Wakota Arena. 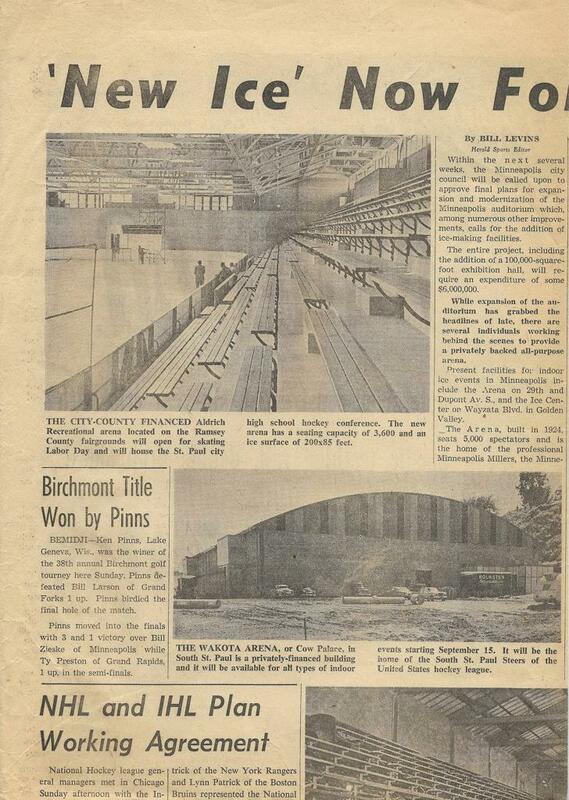 In 1977, the city of South St. Paul purchased the arena for $375,000.00, and it is still under the cities ownership. Regulars also might know that Wakota Arena was the training grounds for the 1964 U.S. Olympic Hockey Team managed by Edina native Walter Bush. 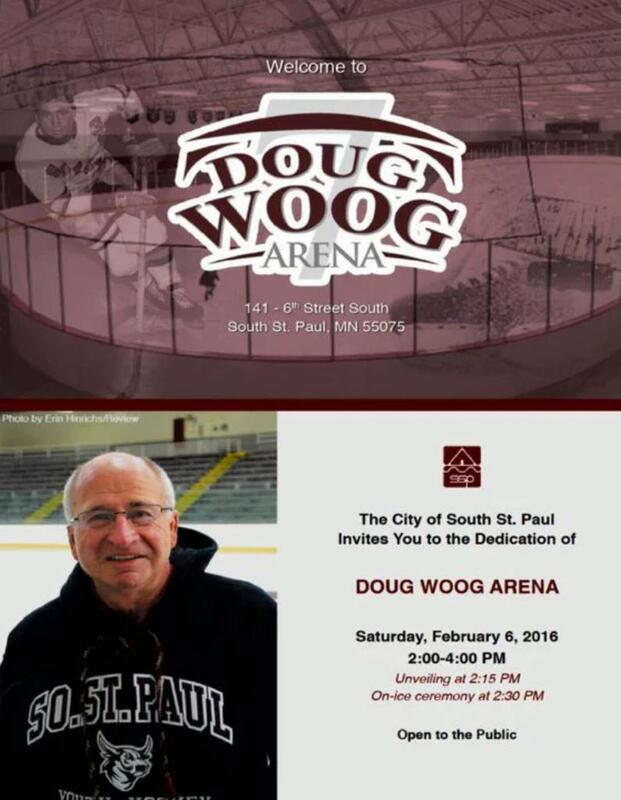 On September 8, 2015 - the South St. Paul City Council officially approved the arena be re-named to Doug Woog Arena after long-time SSP native, and former high school player and coach of the Packers hockey program that was officially re-dedicated on February 6, 2016 (Hockey Day Minnesota 2016) day. 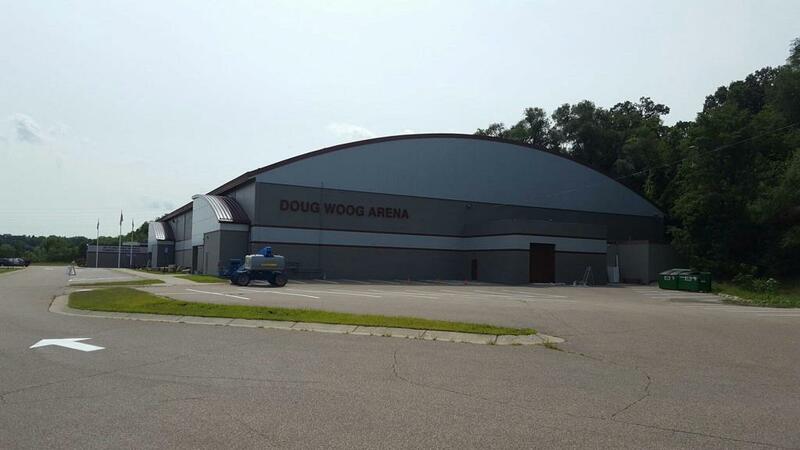 A renaming petition had been in the works to name the historic building in Doug's honor. When Wakota Arena first opened Walter Bush used the arena as the home for his historic South St. Paul Steers franchise in the USHL, that consisted of several members that later became Minnesota North Stars including Bill Masterton. It was a senior league at that time with teams from Marquette, Green Bay, Waterloo and Rochester. Walter Bush, Bob Carter, Metzen Todd and several other local business owners were minority stock holders of the initial Steers team. The team, as history proved, eventually evolved into the 1967 US National team based at Wakota. Ultimately the 1967 team became the 1968 Olympic team under Murray Williamson and Walter went on the buy the North Stars. 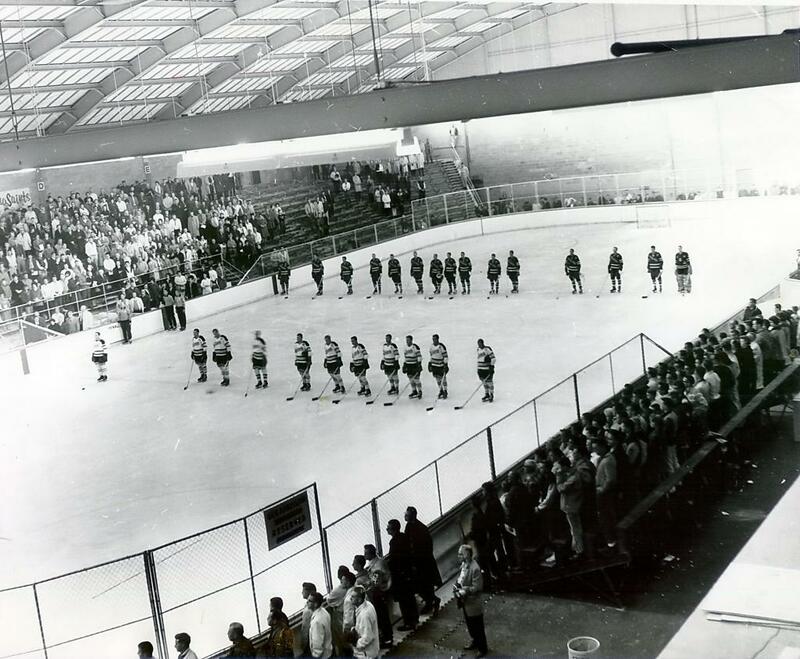 In 1967, while the Met Center was being completed, Wakota was used as a temporary practice facility for the Minnesota North Stars. Wakota was also one of the many home rinks to the St. Paul Vulcans before they moved on to the West Metro area of the Twin Cities, and eventually to Kearney, Nebraska. 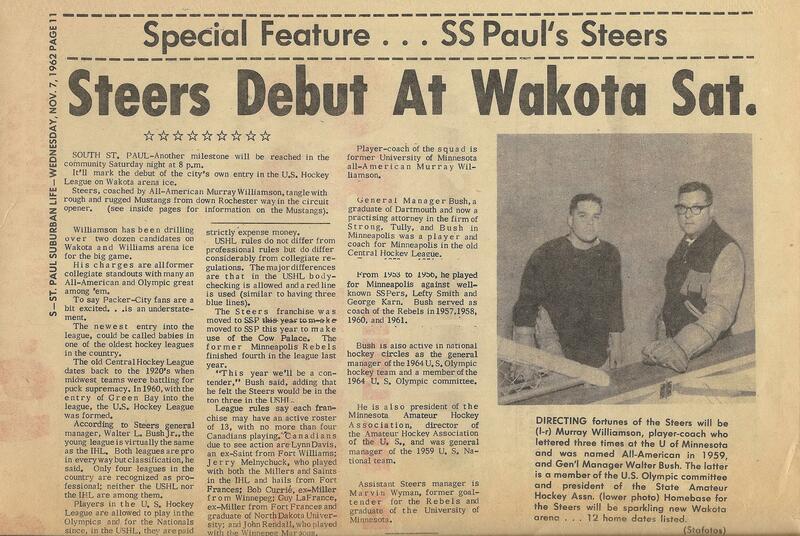 After the Vulcans, Wakota became home to the South Suburban Steers in the Minnesota Junior Hockey League. 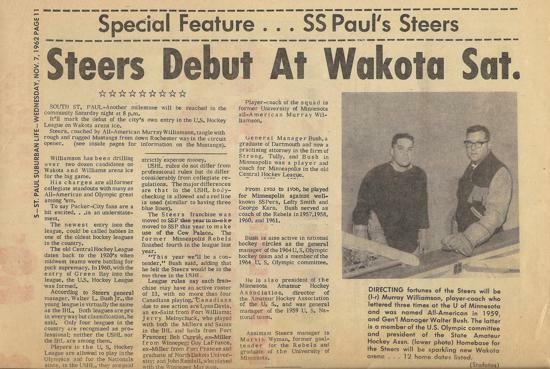 The Steers were sold and the team moved to Bloomington to become the Twin Cities Northern Lights, however Wakota was host to some of their games after the move. The arena has undergone two substantial renovations. The first in 1989, which consisted of the addition of the large concession stand and lobby onto the south end of the building, as well as an upstairs viewing room. In 1997, Rink # 2 was built, in addition to the large office space and the Area Learning Center and is what you now see standing today. Wakota has been the center of the hockey community as the Suburban Conference home. As the years passed the cities in the conference grew, and some teams moved on. Wakota was still home through the 1980's and early 90's to St. Thomas, Simley and Henry Sibley in addition to the hometown team South St. Paul. 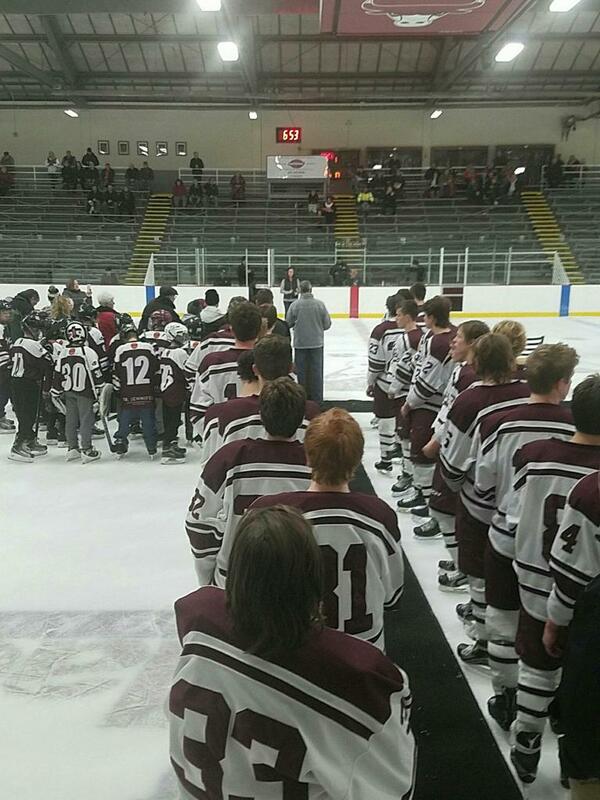 Eventually all the teams in the conference moved on, and now we’re still the proud home to South St. Paul. Wakota Arena is currently the home ice for the South St. Paul Boy’s and Girl’s hockey teams, as well as the Great 8 Festival. The Ted Brill Great 8 Festival is a tournament after the High School season showcasing the best seniors from around the state distributed into 8 section based teams. Throughout the years, Wakota has hosted many dry floor events, such as concerts, dances, graduations, circuses, home & garden shows, and festivals. The Arena and surrounding community were proud to host the first ever "Minnesota Governor’s Inaugural Hockey Game" in 2003. For 45+ years Wakota has been part of the tradition of South St. Paul hockey and the entire state. Making Wakota one of the oldest and most historic arenas in the state many player’s whom have played here, went on to make professional, Olympic and/or National teams. Terry Abrams #3, Doug Woogs #7, Warren Millers #16, and Phil Housleys #20 all are retired by the storied Packers boys team. 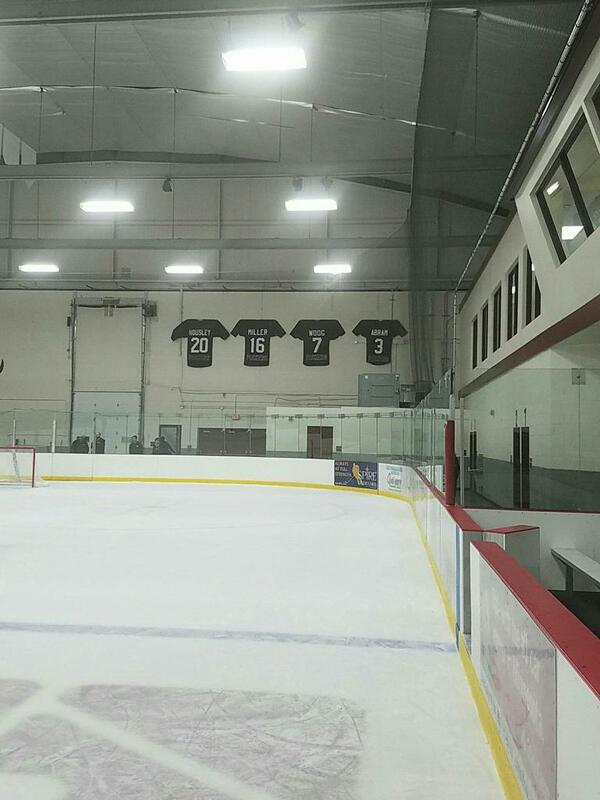 Each players respective retirement jersey are hung high in the arena as a testament of their legendary status at SSP High School.